A charming and colourful Vintage Advertising Sign . 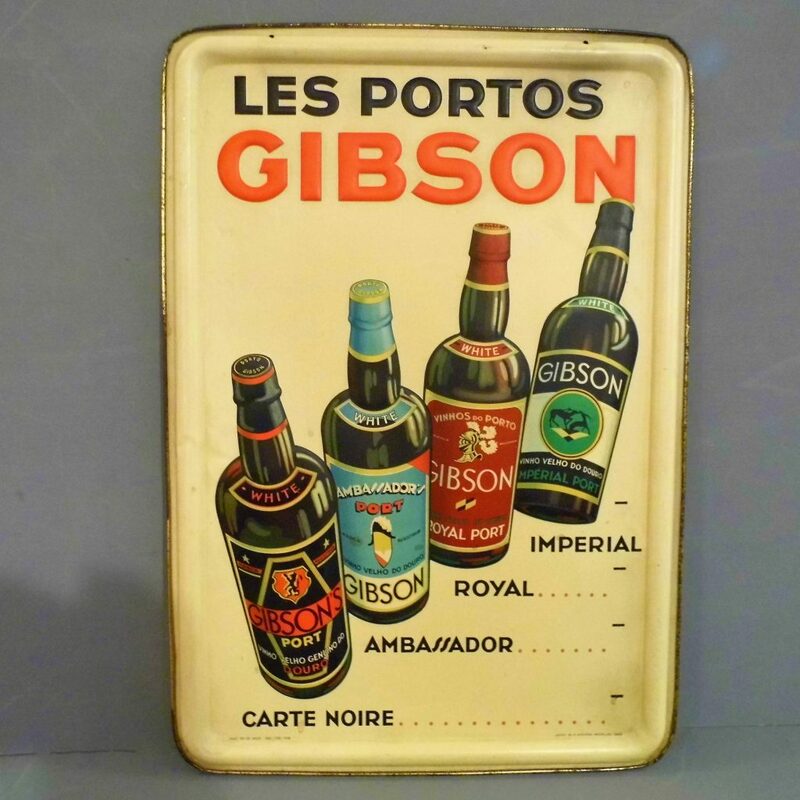 This sign for Les Portos Gibson was made in Brussels around the 1950s. The four bottles and lettering are raised from the cream background while the back has gilt metal finish. The paintwork on this sign is in excellent condition with little sign of wear there is some bruising to the centre left hand side but overall very good. It measures cm by cm high.